Around these parts, the response to Trump firing FBI Director James Comey was pretty uniform, consisting mostly of “There goes the neighborhood/great democratic experiment.” Not everyone feels that way, of course. For some, this latest dismissal of a high-ranking official—occurring as it did in the midst of an investigation into collusion between Trump and Russia—was just a kind of cleaning of house. (These are also probably people content to let the whole world burn, so maybe don’t follow their example.) And it’s certainly no skin off Vladimir Putin’s nose; the Russian president waved off concerns when CBS News stopped him on his way to a hockey game to ask him about Comey’s termination. If anything, Putin seems rankled by the notion that he’d have any response to Trump’s decision, telling CBS News: “Your questions look funny to me… We have nothing to do with this. President Trump is acting in accordance to his competence, in accordance to his laws and constitution.” As he weighs in, Putin’s wearing full protective gear for the hockey game he’s about to win—er, play. When asked if and how the dismissal would affect Russia-U.S. relations, Putin said it would have no effect. 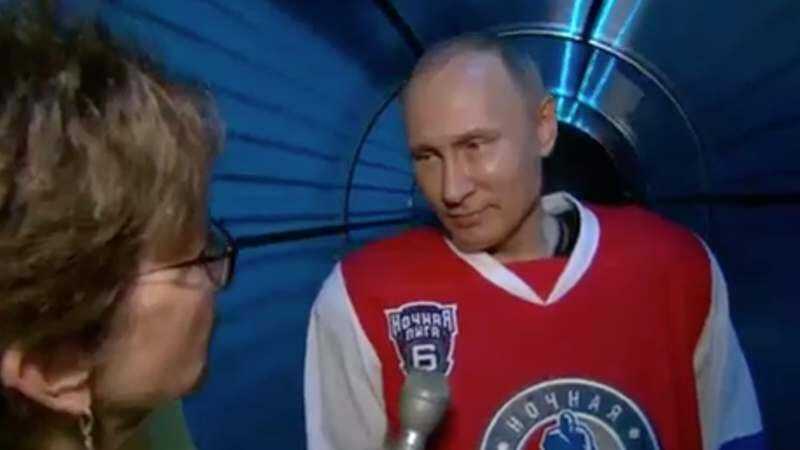 Then, to further demonstrate his nonchalance, the Russian president went on to score seven almost certainly legitimate goals in the game. So really, Tuesday was a win all-around for the Russian leader.